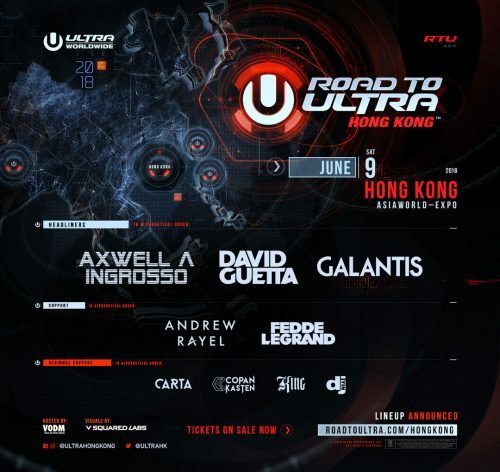 Ultra Hong Kong has just dropped its 2018 lineup, which headlines DJ Axwell & Ingrosso, David Guetta, Galantis, and more. If you are excited for the global electronic music festival return this June 9th at Asia World-Expo, why not pick up some merchandise in anticipation of this exhilarating EDM Festival from Ultra’s official merchandise online store? You can skip the long merchandise queue on the festival day and go straight for real music action! The merchandise are shipped from the US, so make use of our US warehouse to get the items delivered straight to you!